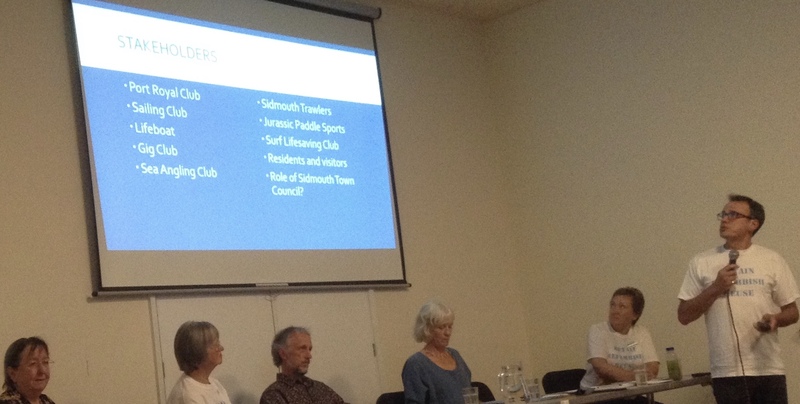 The five perfectly-pitched short presentations at last night’s Public Meeting were each restricted by Chair, Di Fuller, to not much more than 5 minutes. This maximised the time for questions and comments from the audience packed into Sidmouth’s All Saints’ Church Hall, and ensured ample time for the questions to be answered. There was a clear strength of opinion in the room, that Port Royal regeneration should be carefully conceived as a suitable legacy for the town. Local knowledge from those attending, raised issues such as flood risk and contamination that could disadvantage residential development on this site. Potential loss of existing public parking behind the lifeboat station was also a concern. Speakers were EDDC Councillors Marianne Rixson (Ward Member Sidmouth-Sidford), Cathy Gardner and Matt Booth (Ward members Sidmouth Town); and local residents Mary-Walden-Till and Jeremy Woodward. “Under the terms of the Conveyance the land was given to the inhabitants of and visitors to Sidmouth as a place of recreation ‘for ever’. Subject only to ‘reasonable restrictions and regulations in accordance with the law for the time being affecting the use of Public Parks and Pleasure Grounds’. It was a Trust for which Sidmouth Town Council is now the Trustee, with all the legal responsibilities that entails. Sidmouth Town Councillors act to manage that trust on behalf of the Council. It is a complex legal arrangement but it does not in any way affect the terms of the Conveyance which forms the Governing Document of the Charity. It was therefore incorrect to allow part of The Ham to be included in the Local Plan area ED03 as being available for redevelopment. The toilet block stands on Ham land, and the Land Registry deed says it is covered by the terms of the Conveyance. I have asked EDDC Councillors to correct the boundary of ED03 but they never even bothered to acknowledge my email. 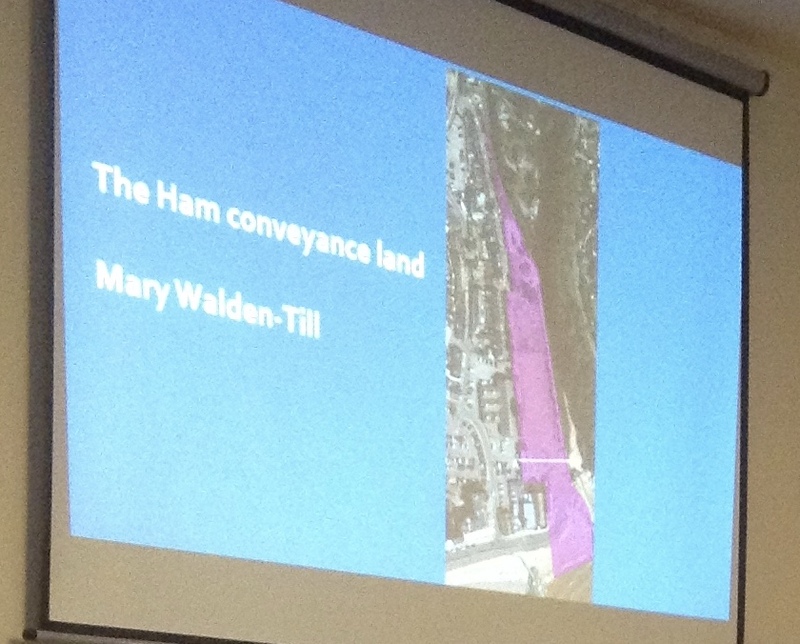 None of The Ham land is available to be built on or to be used in any way other than for free recreation for all. It can not be used as parking for cars or boats, as that is restricting its use. Using it as car parking was suggested, and thrown out, in the early part of the 20th C. Nothing has changed since then as far as the Conveyance is concerned. And nothing can change with the Conveyance except through our connivance or apathy.